The Goldbug Collection's "Lovebug Heart Pendant"
The Goldbug Collection's "Love Train Bracelet"
Hay treasures a sapphire ring her grandmother gave to her mother for her 16th birthday, as well as a bangle her father gifted her, inscribed with the words, "Remember who you are." Nicholas Kirkwood’s "Casati Pearl Loafers" are on Hay's wish list. 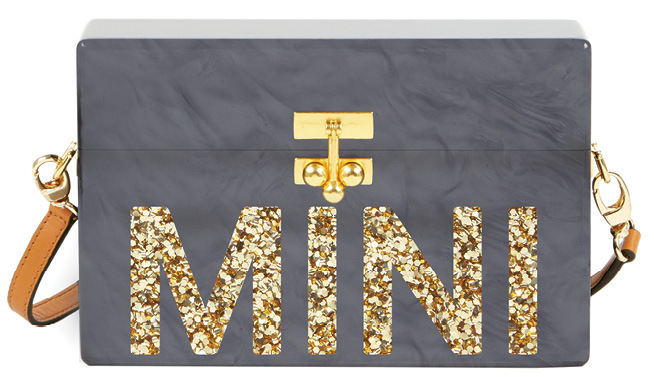 She's also dreaming of a personalized Edie Parker "Trunk Clutch." J.Crew's "Majesty Peacoat" in "soft mint"
Q Tell us about the Goldbug Collection’s latest pieces. 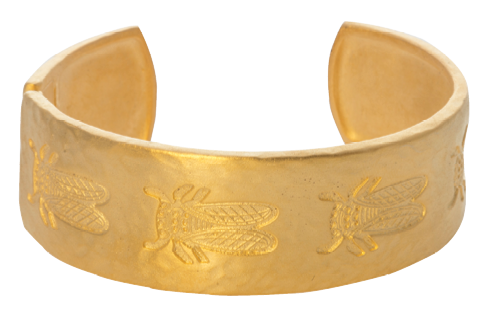 A This year, we introduced the “Goldbug Crest Collection.” Carved into metal, the bugs look like fossilized creatures. 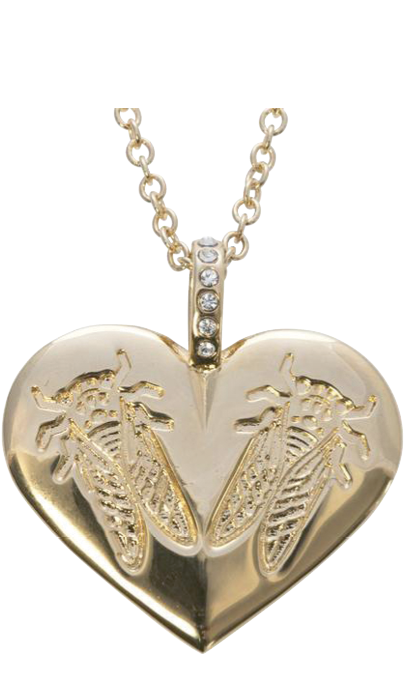 One of my favorite pieces is the “Lovebug Heart Pendant,” because we donate 10 percent of proceeds to HEART, a local nonprofit dedicated to adults with special needs. The newest one is the “Love Train Bracelet,” featuring a boogie train of bugs! Q Can you share a few Christmas-list items? Q What do you look for in winter outerwear? A I love bright or pastel-colored wool coats. They bring a little spring to the cold of winter. 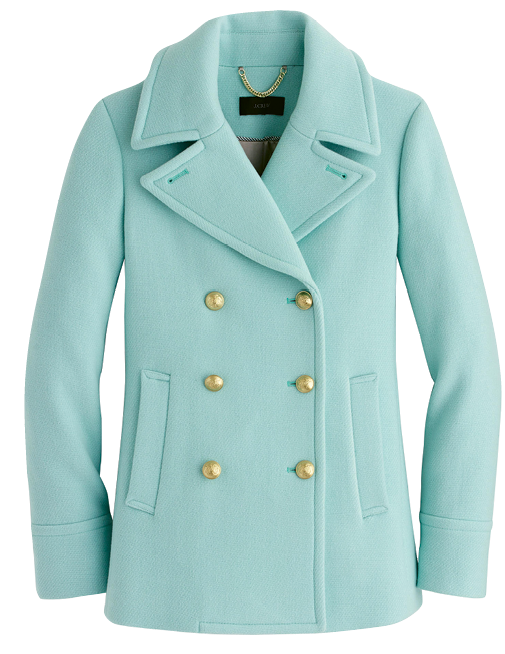 J.Crew has a whole rainbow of colors; I like the "Majesty Peacoat" in "soft mint." 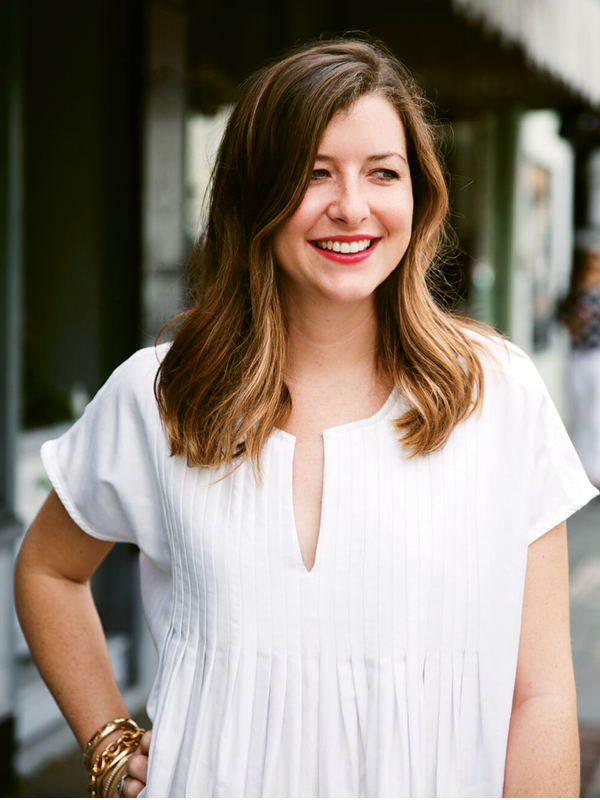 Q Is there a garment you can’t live without this time of year? A I always bring a colorful scarf that can adapt to the weather and be a makeshift wrap. 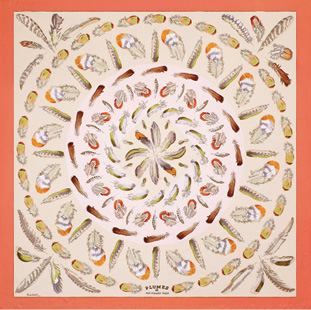 I work with my mom, sister, and aunt, and we all have an obsession with scarves—people think it’s a uniform we wear. I collect them from all over, but my favorites are by Hermès. 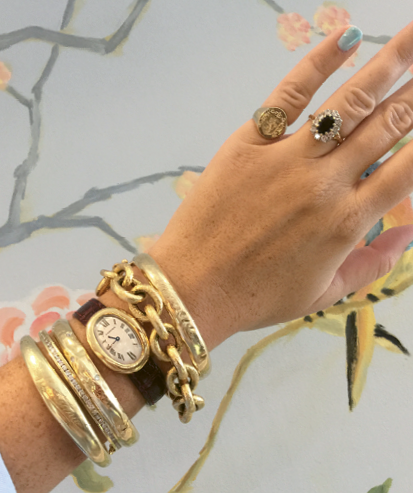 Q What are your own most treasured pieces of jewelry?